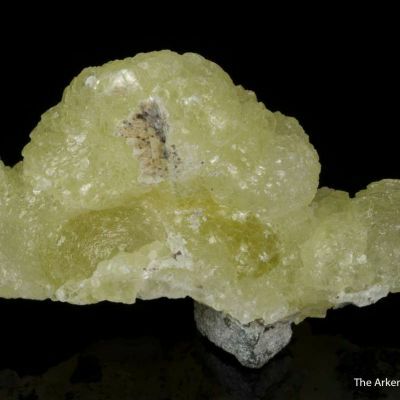 Like a pillow! 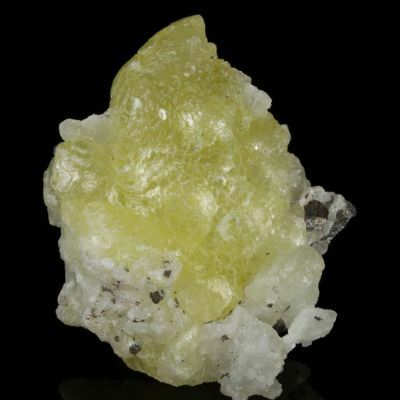 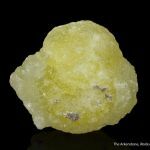 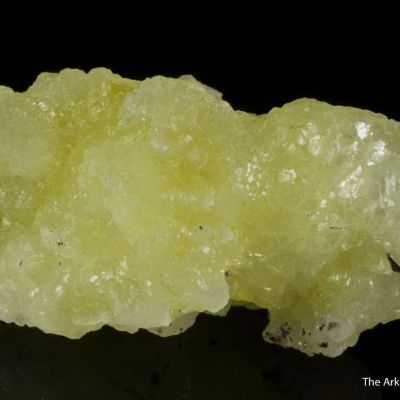 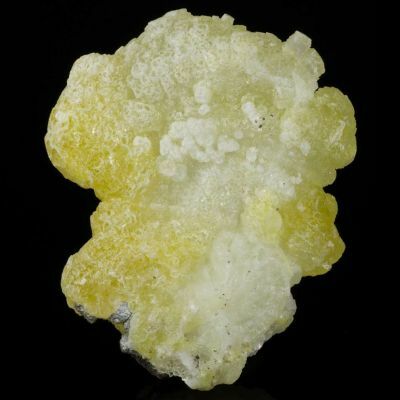 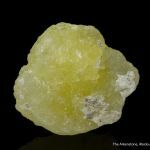 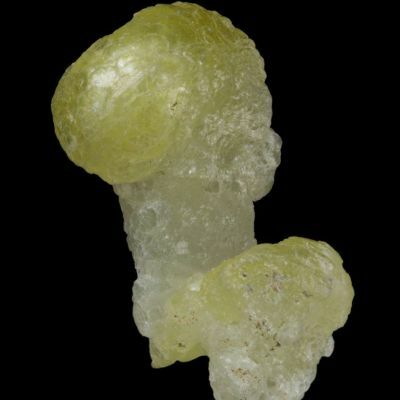 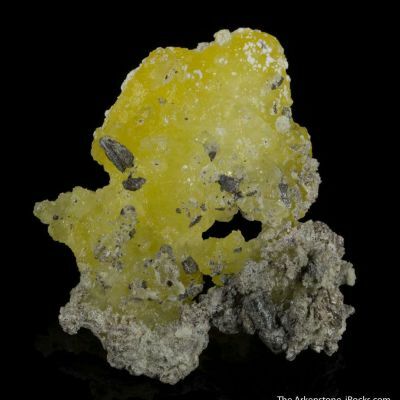 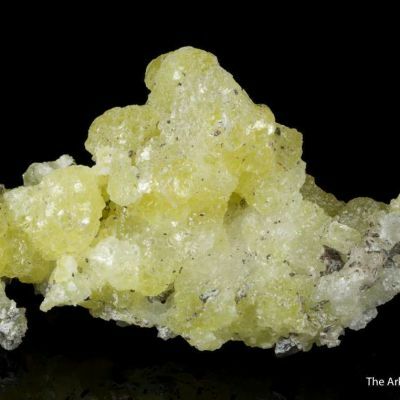 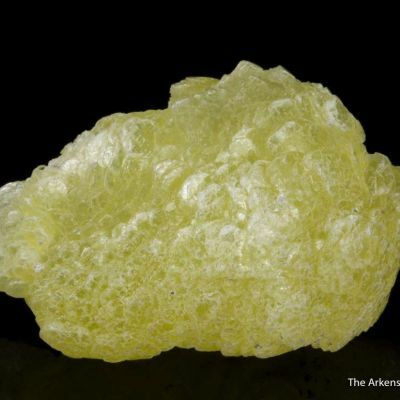 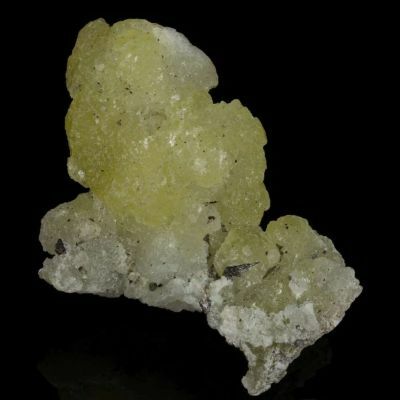 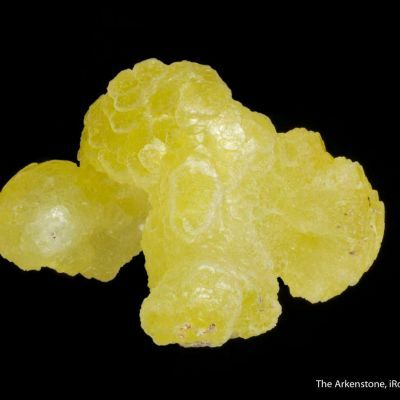 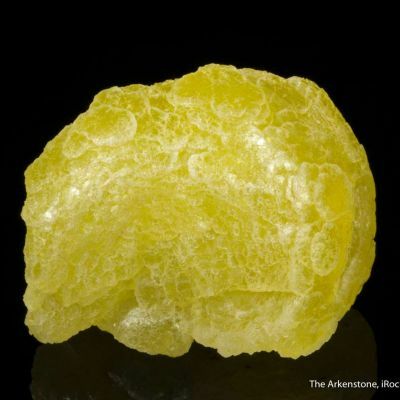 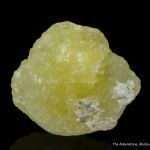 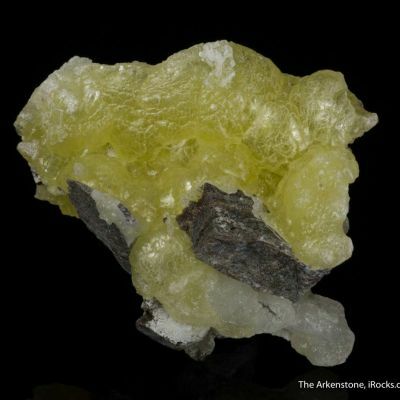 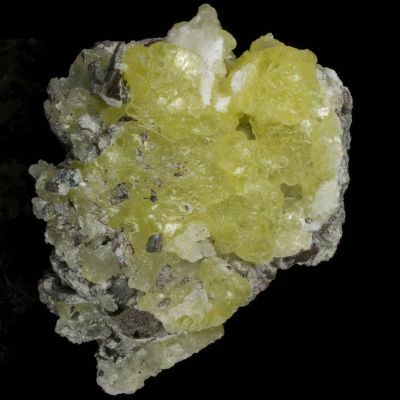 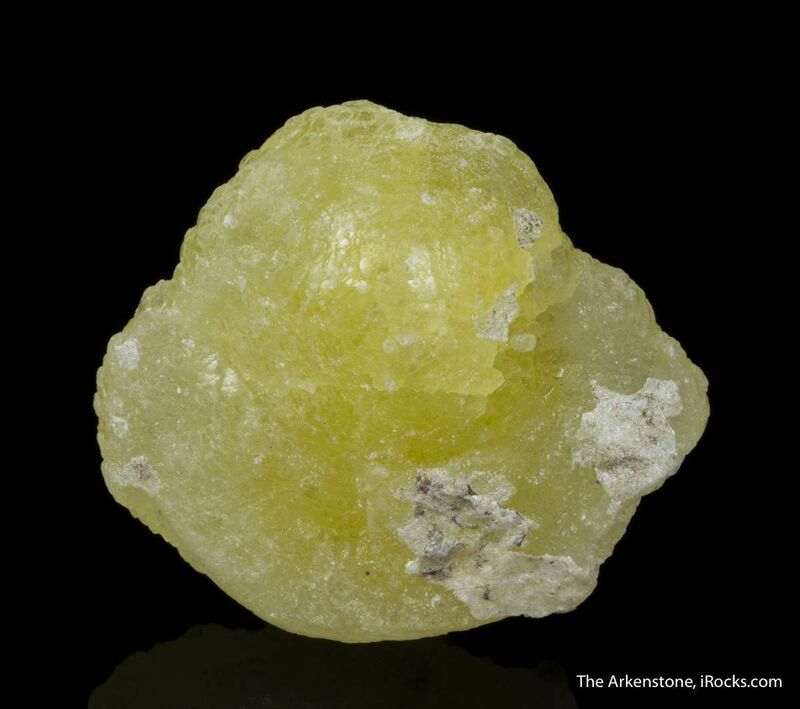 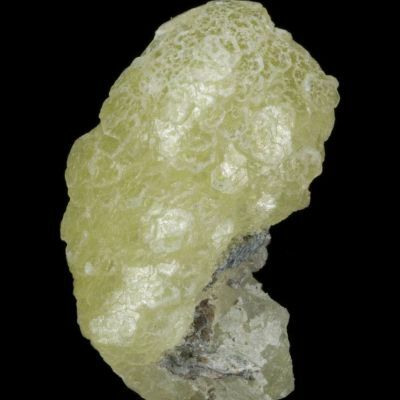 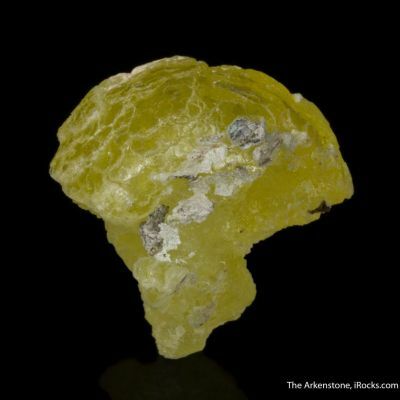 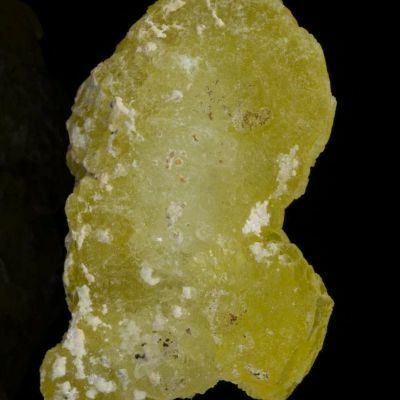 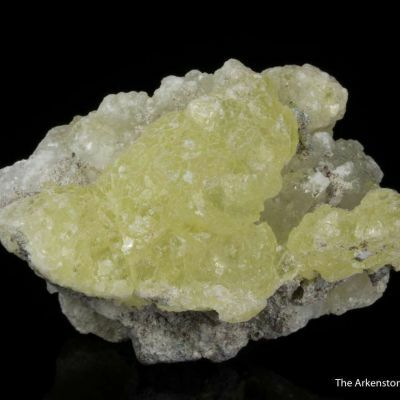 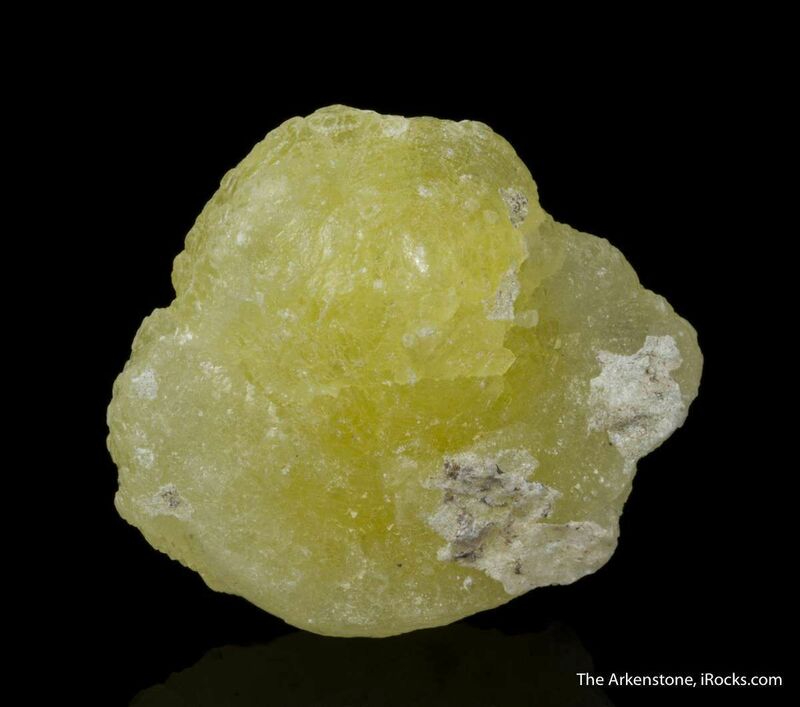 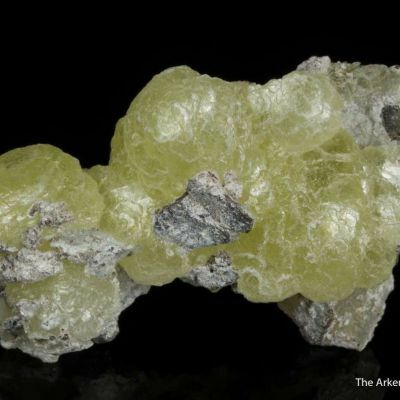 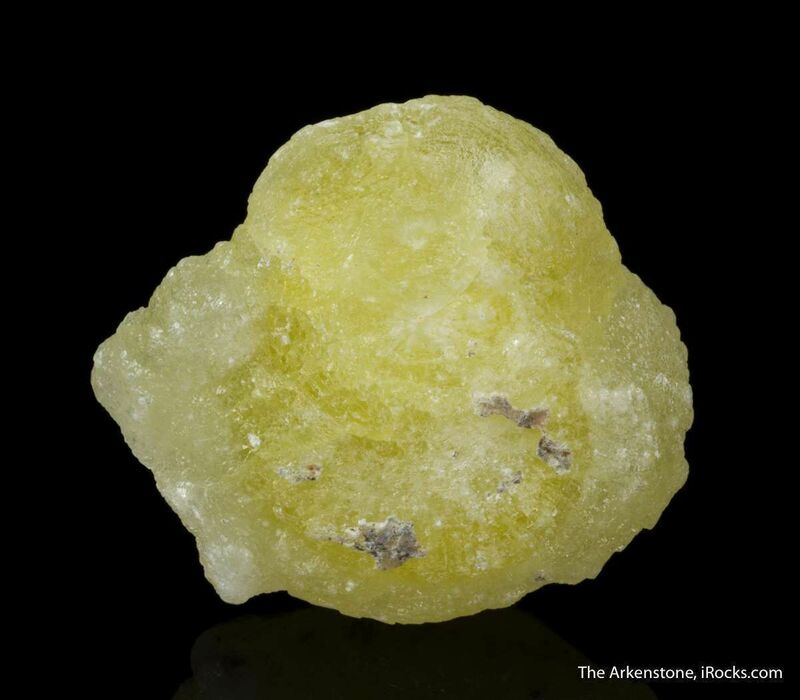 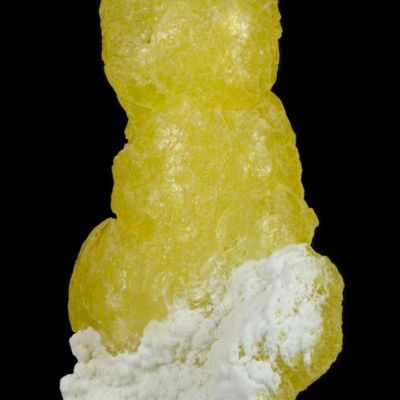 Two intergrown, slightly rounded, lustrous and translucent, brucite crystals to 3.5 cm in length, exhibit a bright lemon yellow color. 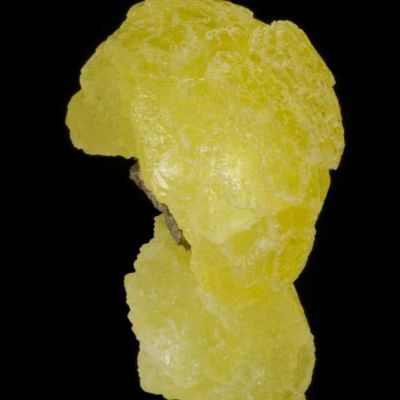 The glorious yellow color of these finds is a first for brucite, to my knowledge.